The most interesting announcement for me was the introduction of AWS App Mesh. It is a service mesh, allowing you to monitor and control the communication between all your microservices, utilizing Envoy Proxy and moving in to the space previously dominated by Istio. Outposts allow you to run AWS infrastructure in your own colo/on-premise datacenter and are a big step by Amazon to fully embrace the hybrid model that many large enterprises use. You can think of Outposts as a rack in your datacenter that contains AWS hardware. My one concern here is what happens when the hardware inevitably fails? Presumably you have to unplug, get Amazon to ship a replacement, and reinstall. I think that is a far cry from AWS data centers which would simply auto-failover to other hardware and you likely would never know. Still, this is will be an attractive option for companies with mission critical applications running in a colo which, for one reason or another, are difficult to migrate wholesale to the cloud. 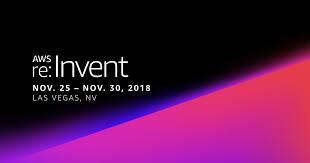 Firecracker generated a huge amount of buzz at re:Invent. It’s a “virtualization technology” that allows you to create and manage microVMs, customized for serverless. That is, VMs for things like containers and functions-based services (e.g. Lambdas). It avoids any bells and whistles to keep resource footprint, startup times, and attack surface, to a minimum. For example, the github readme reports VMs with initialization times of 125ms and memory overhead of less than 5MiB. Honestly, I didn’t fully share the excitement since it seems like it will be used by engineers in-house at places like AWS and Docker, or those working on the Kubernetes codebase. I can’t see mere mortals like me actually using it directly. Still, it does seem like a big step forward for serverless computing and mere mortals like me will undoubtedly take advantage of it so, sure, yay FireCracker! See more at the announcement page, and one of the always-great Jeff Barr blog posts. While bitcoin may be a speculative bubble, the blockchain technology underlying it has great potential and AWS announced two new related services. While AWS are touting QLDB as an alternative to blockchain frameworks, they did also announce a blockchain specific service, Managed Blockchain, a service which enables you to set up a blockchain network. It uses the open source frameworks Hyperledger Fabric and Ethereum. Note that the two services can be used together: you can replicate a copy of your managed blockchain into QLDB. The re:Invent announcemnts weren’t all dull technical announcements. 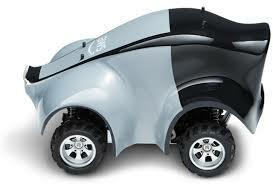 DeepRacer is a “fully autonomous 1/18th scale race car driven by reinforcement learning”. DeepRacer gives you a way to get hands-on with reinforcement learning (RL), an advanced machine learning (ML) technique. Seems like a good way to dip your toes in the autonomous driving space we will all soon and inevitably be immersed in, and you can drive with fellow-geeks at AWS Summit Events next year. Cost: $399, available in March 2019, but you can also pre-order now for the discounted price on $249. See more at DeepRacer. There are also some labs that were introduced at re:Invent. OK, that’s my pick of the top announcements. See also some of the announcements directly from AWS, and related AWS blog posts. You can also read my blog from the main key note.